It's Sunday. I'm going to write more than usual... if that's okay :). When we were huckleberry picking I had the chance to talk to a cousin of ours. I enjoyed her company immensely and wished we lived closer to each other so I could get to know her better. Alas. But during the course of our conversation she asked, "What's your favorite part about being married?" I listed off a few things, but I've not been able to stop thinking about that question. Several times I day I catch myself saying interiorly, "this is my favorite part" and later in the hour, "no, this would be it." Marriage, as God intended it, is just too wonderful! I'll just take one "for instance." I hate grating cheese. Passionately. I'll do just about anything to avoid having to do it (except buying it pre-grated which costs $ and delivers dried-out cheese, or buying a food processor which is just another clunky appliance to wash and store). I feel the same way about washing lettuce and making ice. It's easier to do the big things, sometimes, that get noticed. Doing dishes, laundry, floors, making dinner... those things rarely go unnoticed by my wonderful husband and he doesn't fail to thank me for doing them. Great joy, though, is found in doing the things that go unnoticed... dusting places that you would never notice are clean but you'd sure know if they were dirty, sweeping behind the toilet, straightening the contents of drawers. Herein lies the housewife's ability for sanctity. Herein lies my joy. This has, finally, shown me what my attitude towards God should be. Sure I've always done sacrifices... what cradle Catholic doesn't "offer it up?" But what was my attitude when doing them? Suddenly, not eating meat on Friday isn't an annoyance done because "good Catholics just do it"; it's a cause for joy, to show God I love Him. Praying on my knees without leaning my rump on the pew behind me and my elbows on the pew in front of me... holding my tongue when I want to give a sharp reply... these are the "little things" which, when done with love, take on an eternal significance. And, when united to the sacrifice of Christ upon the cross, they have redemptive and salvific powers!! Ah the holy martyrs. They would go singing?? Joyfully?? To be mauled to death by lions? To be shot by arrows? To be stoned? Drowned? Flayed? Burned? Shot? Poisoned? Hanged, drawn and quartered? How could they joyfully do something like that? ONLY with Love. 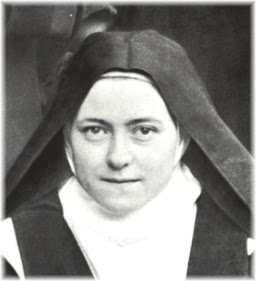 What is this other than St. Therese's "Little Way"? 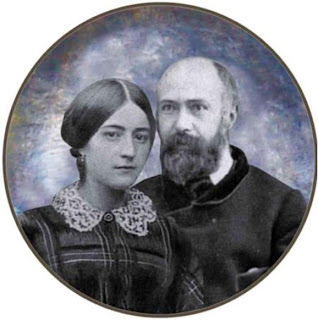 I guarantee she saw this spirituality (even at a very young age when her mother was alive) exemplified by her saintly parents, Blessed Louis and Zélie Martin. God grant us the grace to be like them (and to have children like her, hehe)! Tonight we should have cheesy enchiladas, salad and iced tea :). Oh happy day! and Bl. Zelie and Louis Martin are my favourite people ever... Zelie is my new patron. I am in love with her. How funny that in the future, the blogs of "Blesseds" will be submitted to support the cause for their canonization! Can you imagine seeing, "Citywifecountrylife: Inspirational Posts from the Blog of Blessed Angèle, and other writings. Introduction by Cassandra Durnan." Funny - I hate grating cheese also, but I usually try to pawn the task off on Andrew. You are much better than me! Until I got to the last two paragraphs, I kept thinking, "WOW! This is the Little Way of St. Therese!" Very lovely post, I am going to bookmark and refer back to it often. I think you have put into words what it might have taken me another few married years to realize, and what a waste my actions would have been until then! I hope to think back to this post when doing the really icky things I hate doing around our house. I've been married for almost 15 years and I'm still trying very hard to learn this lesson. 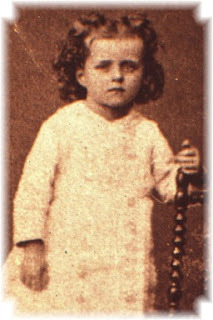 St. Therese is my patron saint, and I named my first daughter for her. I have no excuse for not taking her way to heart. Like the commenter above me (who I am lucky enough to know in person), you are wise beyond your years. Thanks for the reminder. I absolutely loved loved loved this post. I would love to read this blog more often- I'm glad I realize it's here now!! I had a friend who said that when she remembered she wasn'tsupposed to be eating meat, she was offering a prayer for those who don't have or for peace in the world (which we so desperately need). I try and think the same way when it's a sacrifice for me not to do something. By the way, there's also bean tostadas which is what my mom made during the years when we never ate meat on Friday's. It is still oneof my favorites! Thank you so very much....from another Farmer's City Wife. Another Catholic, teacher, Principal, educator...well, the nuns said I was at age 18, lol. I love your blog, it resonates in my soul. Please keep up the good work, I will look forward with pleasure to reading them! Thanks so much for your kind words, Marguerite!! :) I really appreciate them.